"Equality, Freedom, Rights, Truth, Hope. What do these words mean to you?" 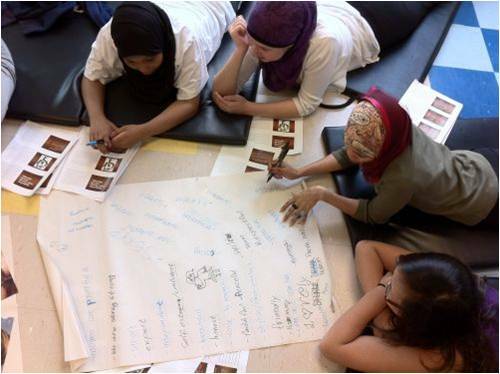 This project was led by the Newcomer Girls' Action Committee at Newcomer Women's Services in Toronto. 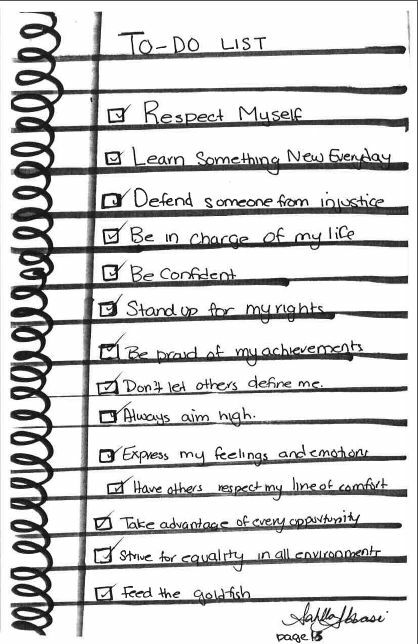 The Newcomer Girls' Action Committee is a group of young women leaders who originally came together to form a girls advisory group at Newcomer Women's Services. 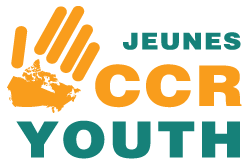 The youth met every Saturday to create a workshop series around social justice, gender based violence and women empowerment. They also discussed everyday skills like handling finances, healthcare services and taking care of your body through practices like yoga. The group also used this space to build on a pre-existing social media campaign called #UseUrVoice and plan their participation in the One Billion Rising event speaking out against gender violence. The girls came up with their own workshop topics and led the activities and discussion. They were able to share their messages to up to 30 people each week, including younger and older women, creating an intergenerational approach to adressing these issues. They gained experience in leading advocacy campaigns, online and on the ground! 1) The group put together a guide listing the workshops they held, who they partnerned with and the themes discussued. Check it out here or at the bottom of the page. 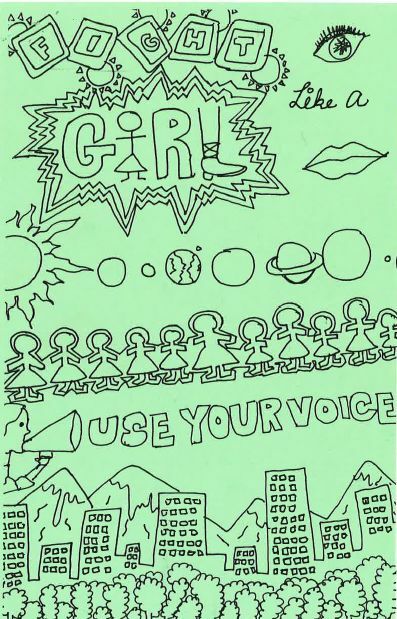 2) They also put their creative works together in a zine entitled "Fight Like a Girl: Use Your Voice" which speaks out about gender violence and encourages girls to stand up for themselves. You can check out the zine by clicking on the images below, or opening the PDF attachment at the bottom of the page! 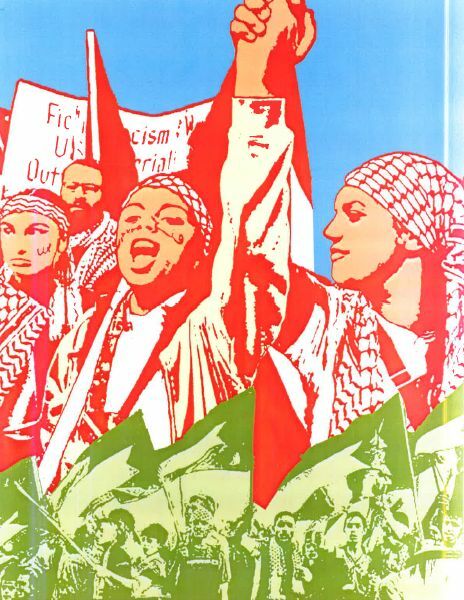 3) AND they created posters which can be used for advocacy on women's rights! They can be seen by clicking on the image below or in the PDF attachment at the bottom of the page. Newcomer Women's Services has an all-female staff that provides employment and settlement services, skills development, and language training, free of charge. They run progams specifically for young newcomer women as well, like the Fight Like A Girl! 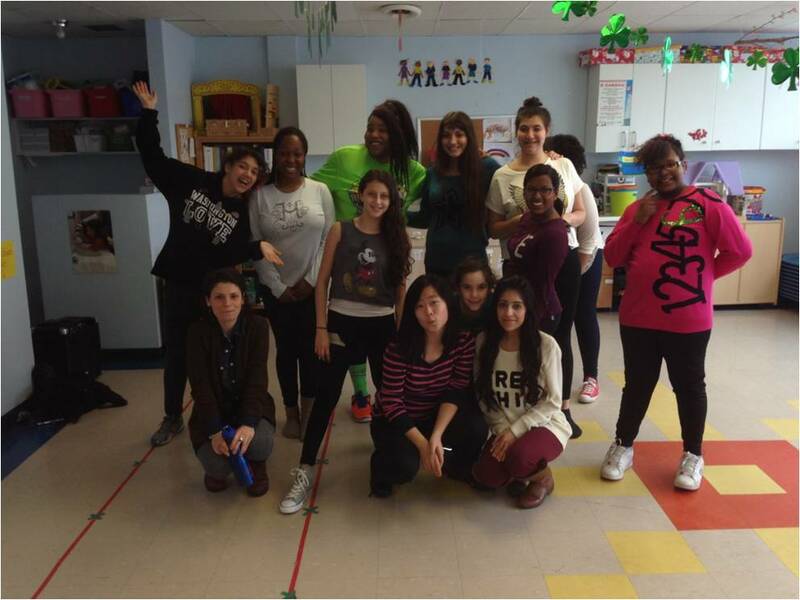 Leadership Training Camp, in which young women and trans youth addressed issues around anti-racism, gender-based violence, and learned Wen Do women's self-defense.